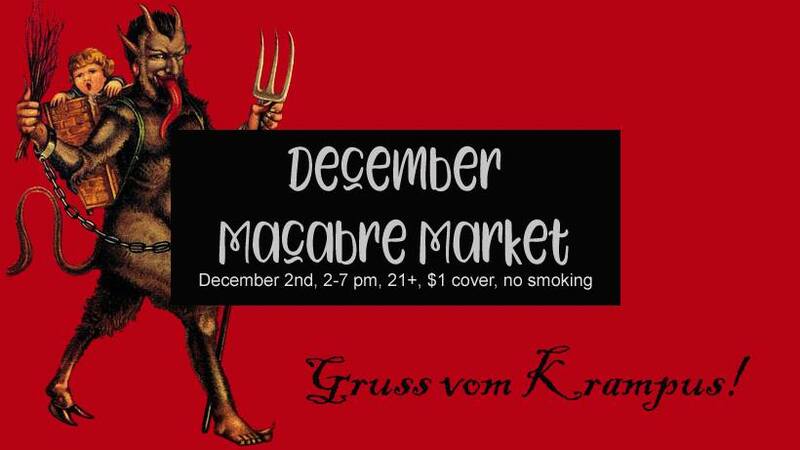 Come out and join us for the Macabre Market! Celebrate the dark side of life with vendors selling jewelry, art and clothing. Embrace your dark side by shopping for jewelry, art, and clothing from unusual vendors like the Tinkers Daughter, Game of Threads: A Store of Dice and Attire, Foggy Moon Pottery, Junkyard Witch, and many others. The bar will be open! 21+ only, $1 cover, non-smoking.